The Buddha — the "Awakened One" — called the religion he founded Dhamma-vinaya — "the doctrine and discipline." To provide a social structure supportive of the practice of Dhamma-vinaya (or Dhamma for short [Sanskrit: Dharma]), and to preserve these teachings for posterity, the Buddha established the order of bhikkhus (monks) and bhikkhunis (nuns)— the Sangha — which continues to this day to pass his teachings on to subsequent generations of laypeople and monastics, alike. Pali was originally a spoken language with no alphabet of its own. It wasn't until about 100 BCE that the Tipitaka was first fixed in writing, by Sri Lankan scribe-monks who wrote the Pali phonetically using their own Sinhala alphabet.11 Since then the Tipitaka has been transliterated into many different scripts (Devanagari, Thai, Burmese, Roman, Cyrillic, to name a few). Although English translations of the most popular Tipitaka texts abound, many students of Theravada find that learning the Pali language — even just a little bit here and there — greatly deepens their understanding and appreciation of the Buddha's teachings. Because of our ignorance (avijja) of these Noble Truths, because of our inexperience in framing the world in their terms, we remain bound to samsara, the wearisome cycle of birth, aging, illness, death, and rebirth. Craving propels this process onward, from one moment to the next and over the course of countless lifetimes, in accordance with kamma (Skt. karma), the universal law of cause and effect. According to this immutable law, every action that one performs in the present moment — whether by body, speech, or mind itself — eventually bears fruit according to its skillfulness: act in unskillful and harmful ways and unhappiness is bound to follow; act skillfully and happiness will ultimately ensue.12 As long as one remains ignorant of this principle, one is doomed to an aimless existence: happy one moment, in despair the next; enjoying one lifetime in heaven, the next in hell. Right mindfulness and right concentration are developed in tandem through satipatthana ("frames of reference" or "foundations of mindfulness"), a systematic approach to meditation practice that embraces a wide range of skills and techniques. Of these practices, mindfulness of the body (especially mindfulness of breathing) is particularly effective at bringing into balance the twin qualities of tranquillity (samatha) and insight (vipassana), or clear-seeing. Through persistent practice, the meditator becomes more adept at bringing the combined powers of samatha-vipassana to bear in an exploration of the fundamental nature of mind and body.13 As the meditator masters the ability to frame his immediate experience in terms of anicca (inconstancy), dukkha, and anatta (not-self), even the subtlest manifestations of these three characteristics of experience are brought into exquisitely sharp focus. At the same time, the root cause of dukkha — craving — is relentlessly exposed to the light of awareness. Eventually craving is left with no place to hide, the entire karmic process that fabricates dukkha unravels, the eightfold path reaches its noble climax, and the meditator gains, at long last, his or her first unmistakable glimpse of the Unconditioned — Nibbana. The Buddha based his teachings on a frank assessment of our plight as humans: there is unsatisfactoriness and suffering in the world. No one can argue this fact. Dukkha lurks behind even the highest forms of worldly pleasure and joy, for, sooner or later, as surely as night follows day, that happiness must come to an end. Were the Buddha's teachings to stop there, we might indeed regard them as pessimistic and life as utterly hopeless. But,like a doctor who prescribes a remedy for an illness, the Buddha offers both a hope (the third Noble Truth) and a cure (the fourth). The Buddha's teachings thus give cause for unparalleled optimism and joy. The teachings offer as their reward the noblest, truest kind of happiness, and give profound value and meaning to an otherwise grim existence. One modern teacher summed it up well: "Buddhism is the serious pursuit of happiness." 2. This estimate is based on data appearing in » CIA World Factbook 2004. South Asia's largest Theravada Buddhist populations are found in Thailand (61 million Theravadans), Myanmar (38 million), Sri Lanka (13 million), and Cambodia (12 million). 6. A third major branch of Buddhism emerged much later (ca. 8th century CE) in India: Vajrayana, the "Diamond Vehicle." Vajrayana's elaborate system of esoteric initiations, tantric rituals, and mantra recitations eventually spread north into central and east Asia, leaving a particularly strong imprint on Tibetan Buddhism. See Buddhist Religions, pp. 124ff. and chapter 11. 7. Modern scholarship suggests that Pali was probably never spoken by the Buddha himself. 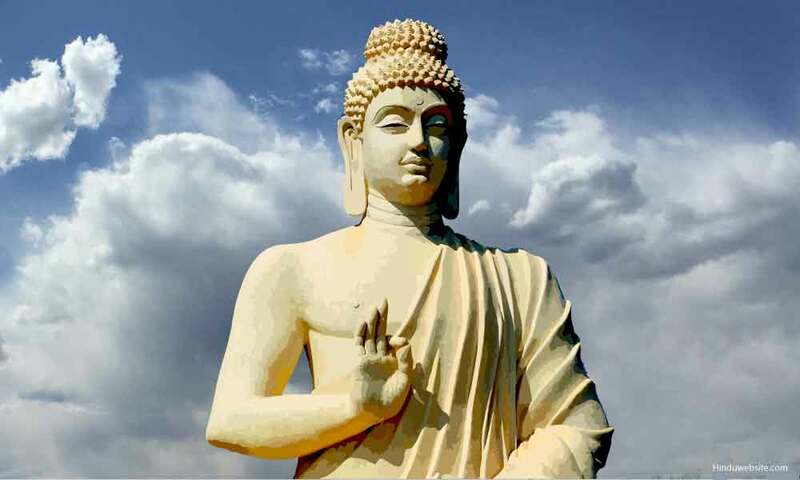 In the centuries after the Buddha's death, as Buddhism spread across India into regions of different dialects, Buddhist monks increasingly depended on a common tongue for their Dhamma discussions and recitations of memorized texts. It was out of this necessity that the language we now know as Pali emerged. See Bhikkhu Bodhi's Introduction in Numerical Discourses of the Buddha (Walnut Creek, CA: Altamira Press, 1999), pp. 1ff, and n. 1 (p. 275) and "The Pali Language and Literature" by the Pali Text Society (» http://www.palitext.com/subpages/lan_lite.htm; 15 April 2002). 13. This description of the unified role of samatha and vipassana is based upon the Buddha's meditation teachings as presented in the suttas (see "One Tool Among Many" by Thanissaro Bhikkhu). The Abhidhamma and the Commentaries, by contrast, state that samatha and vipassana are two distinct meditation paths (see, for example, The Jhanas in Theravada Buddhist Meditation by H. Gunaratana, ch. 5). It is difficult to reconcile these two views just from studying the texts; any remaining doubts and concerns about the roles of samatha and vipassana are best resolved through the actual practice of meditation. and reformatted from Access to Insight edition © 2005 For free distribution. This work may be republished, reformatted, reprinted, and redistributed in any medium. It is the author's wish, however, that any such republication and redistribution be made available to the public on a free and unrestricted basis and that translations and other derivative works be clearly marked as such.